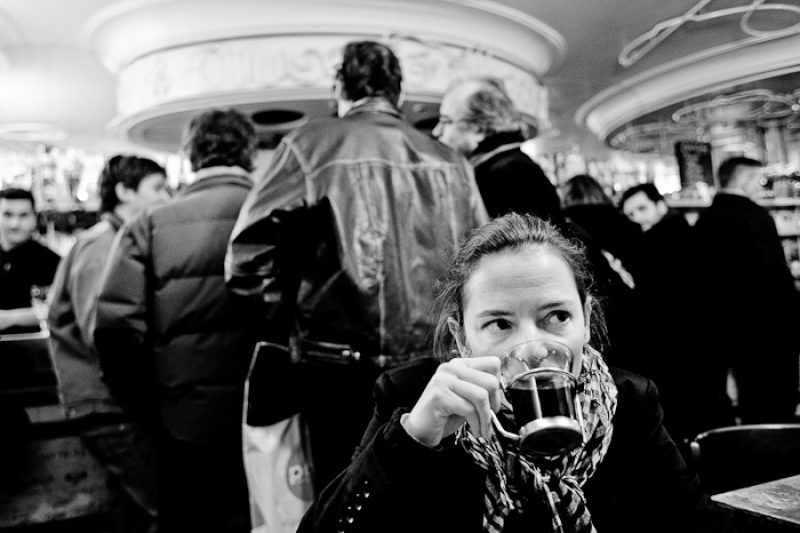 These are not the film-set café terraces or the belle-époque brasseries, but they are some of the finest Parisian bars with balls: the kind of places that are soaked in their own juices; where the beer is cheap, the company is colourful and the atmosphere is as warm and welcoming as the décor is kitsch. Literally meaning “the trousers”, this is a place of conviviality that is much loved by students from the Luxembourg Quarter and a great meeting point in the area. The downstairs area is actually very tasteful, much thanks to the decorative talents of the Beaux Arts students (check out the trompe l’oeil effect in the room at the end). A place to talk art and play drinking games at the same time, it gets full very quickly. Pronounced “arse-oo-ye”, it sports a sticker at the entrance indicating that you’ve entered a parallel dimension in another fictional country. And that just about sums up the atmosphere here of a weekend after 10pm, when it starts rocking to a manic mixture of ancient bar flies, modern hipsters and everything in between; all seemingly getting along nicely and getting nicely tanked, chattering loudly and pinging pinball. Background music is provided by a jukebox to which the clientèle sing and dance in increasing numbers and varying styles as the night progresses. The name indicates a drunken slob and here, anyone who wants to be a tiny bit of a drunken slob for the evening can feel quite comfortable. 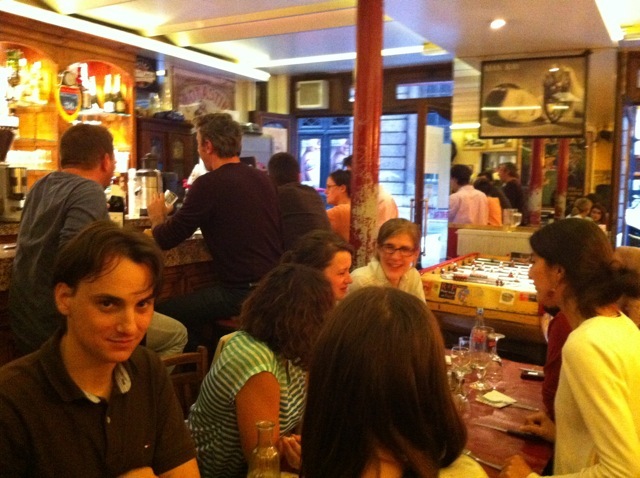 Plonked in the middle of the little street Rue Guénégaud in the heart of the Saint Germain des Prés district in the 6th arrondissement and close to the Pont Neuf, this small and very Parisian establishment is downbeat, warm and happy all at once… if that’s possible. A welcoming time-warp in which your hosts Josette or Gérard (appearing on alternating evenings) invite you to a cheap metric pint, a game of baby-foot (table football, pronounced ‘babby-fooot’) and some live entertainment on a Saturday night. What more could you possibly want? 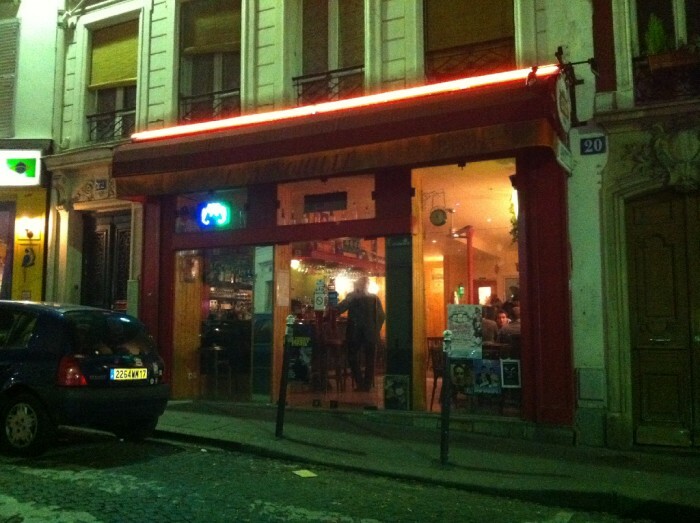 In the Red Light district of Pigalle, the bar that is known by name as ‘The Ant’ is a veritable institution. The beer is relatively cheap for the much-frequented area. This, and the huge salon with of dubious décor are the main reasons why people come here in impressive numbers. Added to that formula is the intimacy of its tiny terrace, its baby-foot table and its zinc-topped counter where merry revellers arm-wrestle for beer. 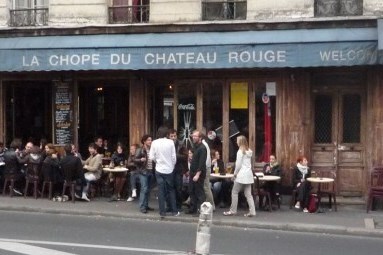 Another spot in the heady streets of the 18th arrondissement which is well worth a detour, the “mug of Château Rouge” serves one of the cheapest mugs of beer in all Paris. 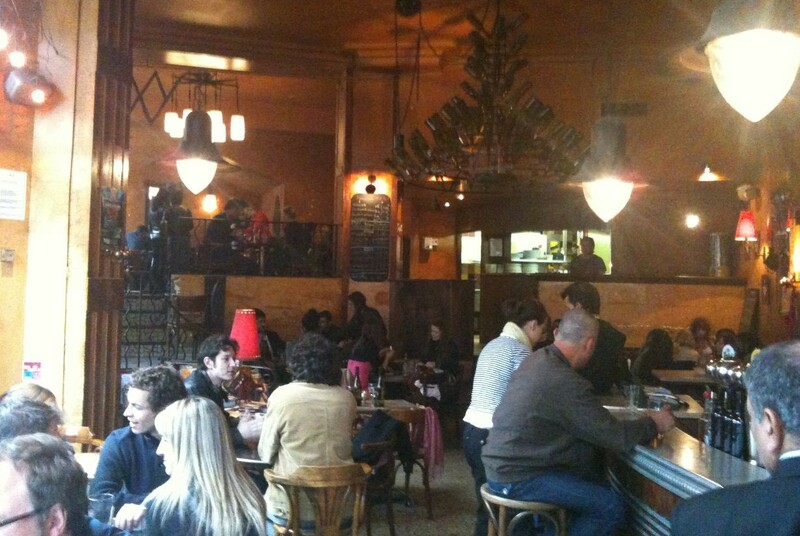 The interior is the Parisian equivalent of a real ‘ould fella’s’ pub and the outside terrace is a variety of chair types untidily strewn along the pavement, but it’s also as loud and lively as you like with an atmosphere that’s hard to get up from once you’re sat down in it. Santé! The district of Belleville is the real down-to-earth “cockney” part of Paris. It’s a traditionally working class area of revolution, immigration and creativity: an area that spawned Edith Piaf and iconic ’80s band Les Rita Mitsouko, as well as containing both of Paris’ main China Towns. 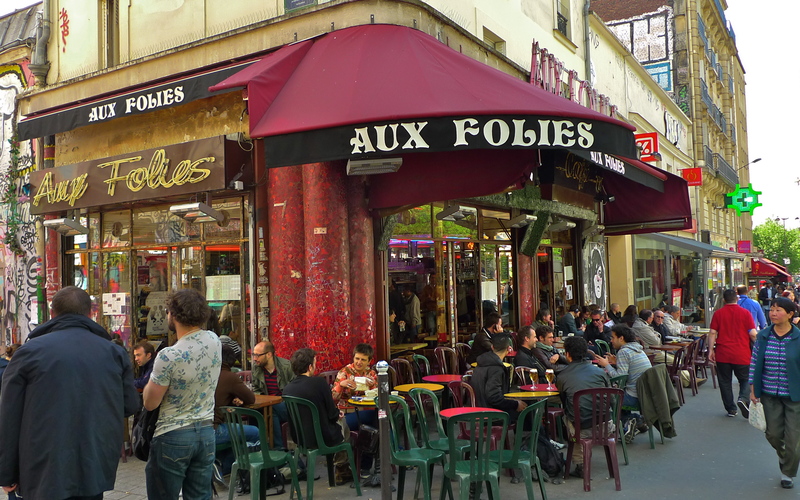 Aux Folies is in another cultural pillar of Belleville that one shouldn’t pass by on a visit. Just one glance will of the exterior will tell you that it’s a place of former glories (formerly a café/theatre) but quite content in its current role as THE drinking spot in the 20th arrondissment. The terrace seems to be permanently occupied and the service is simple, homely and with cheap prices.